Mountains have always played a central role in human culture, but we’ve only recently come to understand how they form and develop. To this day, these magnificent landforms still hold many secrets. There are several ways to analyze and classify mountains depending on your scientific discipline. Here, we’ll describe some of the more common classifications of mountains in detail. 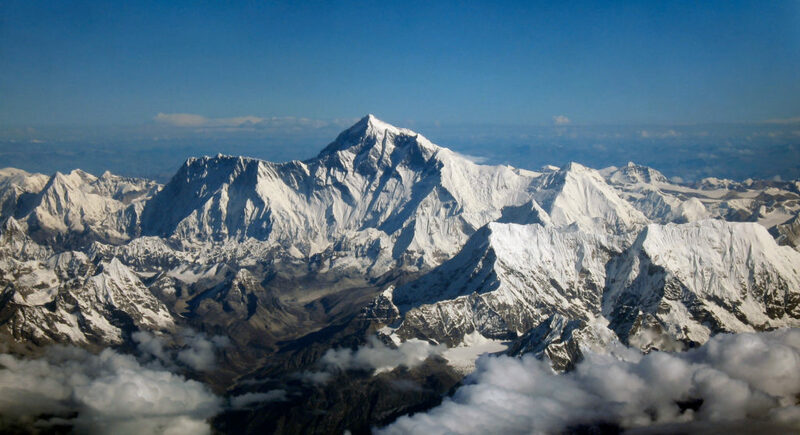 Aerial view of Mount Everest from the south. The Himalayas are fold mountains. Image credits: airline company Drukair in Bhutan. Generally, mountains be classified as: fold mountains, block mountains, dome mountains, and volcanic mountains. Plateau mountains, uplifted passive margins, and hotspot mountains are also sometimes considered. Fold mountains — the most common type, they form when two or more tectonic plates collide. Block mountains (or fault-block) — formed through geological processes pushing some rocks up and others down. Dome mountains — formed as a result of hot magma pushing beneath the crust. Volcanic mountains — also known by a simpler name: volcanoes. Other types of mountains sometimes included in classifications are plateau mountains, uplifted passive margins, and hotspot mountains. 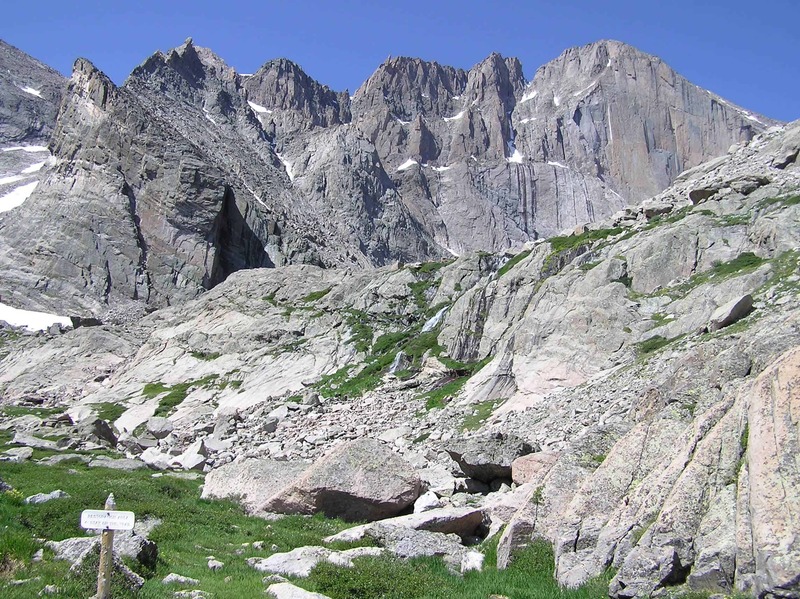 The Rocky Mountains are a great example of fold mountains. Image credits: National Park Service Digital Image Archives. Fold mountains are the most common and most massive types of mountains (on Earth, at least). Fold mountain chains can spread over thousands of kilometers — we’re talking about the Himalayas, the Alps, the Rockies, the Andes — all the big boys. They’re also relatively young (another reason they’re so tall, as they haven’t been thoroughly eroded), but that’s “young” in geological terms — still tens of millions of years. 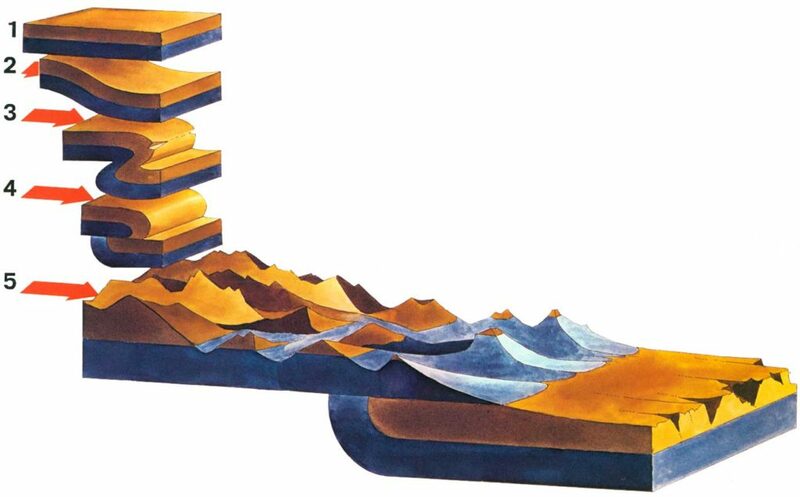 In order to understand how fold mountains form and develop, we have to think about plate tectonics. The Earth’s lithosphere is split into rigid plates which move independently of one another. There are seven major tectonic plates and several smaller ones all across the world. When two plates collide, several things can happen. For instance, if one plate is denser than the other (oceanic plates are typically denser because of the type of rocks that make up the plate), a process called subduction will start: the heavier one will slowly glide beneath the lighter one. If they have relatively similar densities, then they will start to crumple up, driving movement upwards. Essentially, the tectonic plates are pushed, and since neither can slide beneath the other, they build up geological folds. To get a better idea of what this looks like, try to push two pieces of papers towards each other: some parts will rise up, representing the process of mountain formation. Sometimes, the folding happens inside the continent and is associated with faulting. This is a representation of that process in northern Montana, USA, and Southern Alberta, Canada. Image credits: Greg Beaumont, National Park Service. This process is called orogeny (giving birth to mountains) and it generally takes millions of years for it to complete. Many of today’s fold mountains are still developing as the tectonic process unfolds. The process doesn’t occur on tectonic edges — sometimes the mountain-generating fold process can take place well inside a tectonic plate. While the previous category was all about folds, this one is all about faults: geological faults, that is. 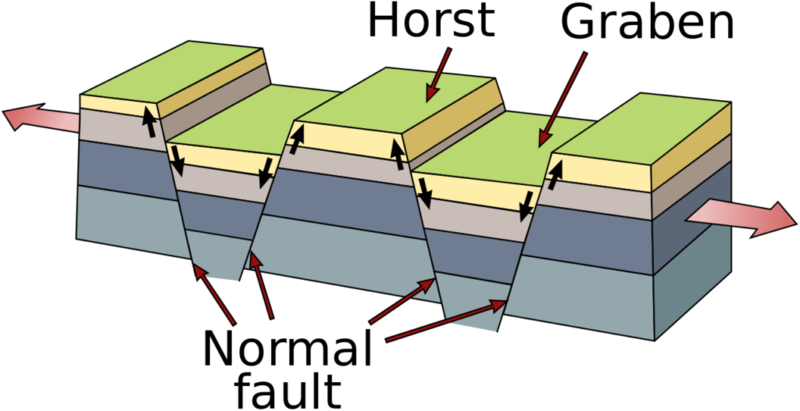 Depiction of the block-faulting process. Image credits: U.S. Geological Survey. Let’s revisit the previous idea for a moment. Let’s say that while under pressure, some parts of a tectonic plate start to fold. As the pressure grows and grows, at one point the rock will simply break. Faults are those breaks: they’re the planar fractures or discontinuities in volumes of rock. Their size can vary tremendously, from a few centimeters to mountain-sized. Basically, when big blocks of rock are broken through faulting, some of them can get pushed up or down, thus resulting in block mountains. Higher blocks are called horsts and troughs are called grabens. Their size can also be impressive, though they’re generally not as big as fold mountains because the process which generates them takes place on a smaller scale and involves less pressure. 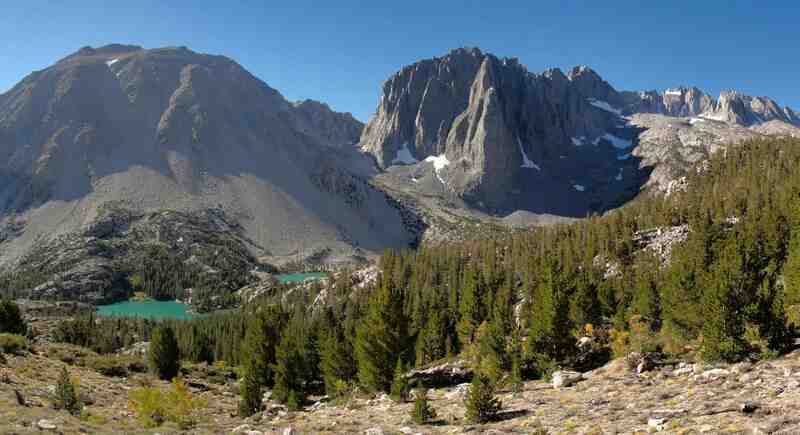 Still, the Sierra Nevada mountains (an example of block mountains), feature a block 650 km long and 80 km wide. Another good example is the Rhine Valley and the Vosges mountain in Europe. Rift valleys can also generate block mountains, as is the case in the Eastern African Rift. It can be quite difficult to identify a block mountain without knowing its underlying geology but generally, they tend to have a steep side and a slowly sloping side. 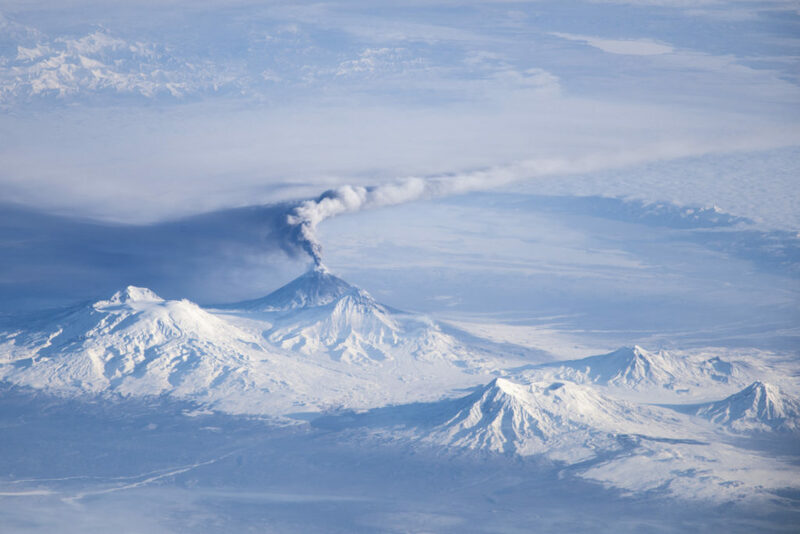 Annotated view includes Ushkovsky, Tolbachik, Bezymianny, Zimina, and Udina stratovolcanoes of Kamchatka, Russia. Image taken aboard the ISS in 2013. Everyone knows something about volcanoes, though we rarely think about them as mountains (and truth be told, they aren’t always mountains). Volcanic mountains are created when magma deep beneath the surface starts to rise up. At one point, it erupts in the form of lava and then cools down, solidifying and piling on to create a mountain. Mount Fuji in Japan and Mount Rainier are classic examples of volcanic mountains — with Mount Rainier being one of the most dangerous volcanoes in the world. However, it’s not necessary for the volcano to be active to be a volcanic mountain. The summit of Mauna Kea. Image credits: Pixabay. Several types of volcanoes can generate mountains, with Stratovolcanoes typically creating the biggest ones. 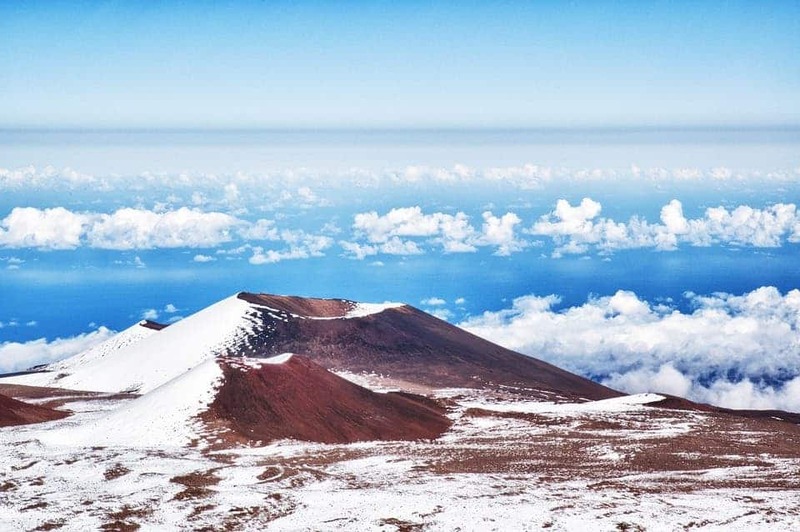 Despite the fact that Mount Everest is the tallest mountain above sea level, Mauna Kea is actually much taller than Everest at a total height over 10,000 meters. However, much of it is submerged, with only 4,205 meters rising above sea level. Dome mountains are also the result of magmatic activity, though they are not volcanic in nature. 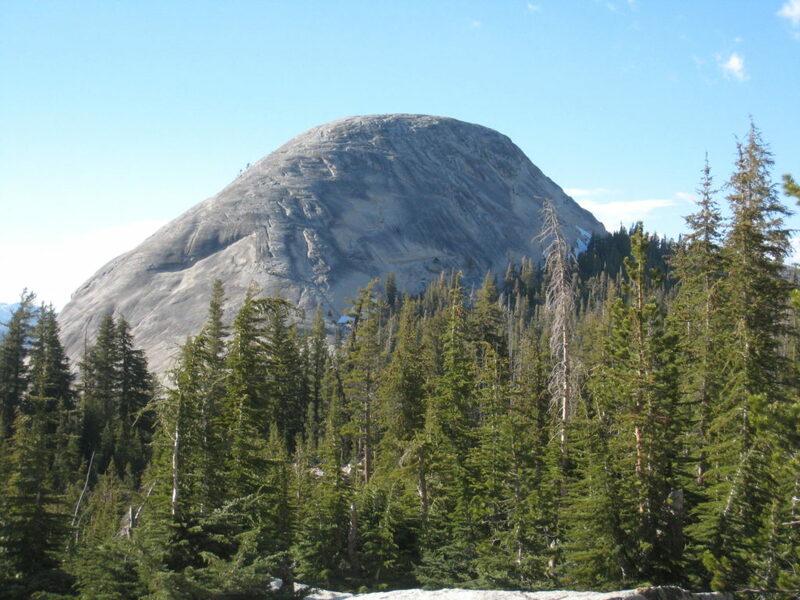 Southeast face of Fairview Dome in Yosemite National Park. Image credits: Jennie. Sometimes, a lot of magma can accumulate beneath the ground and start to swell the surface. Occasionaly, this magma won’t reach the surface but will still form a dome. As that magma cools down and solidifies, it is often tougher than other surrounding rocks and will eventually be exposed after millions of years of erosion. The mountain is this dome — a former accumulation of magma which cooled down and was exposed by erosion. Round Mountain is a relatively recently formed dome mountain. It represents a volcanic feature of the Canadian Northern Cordilleran Volcanic Province that formed in the past 1.6 million years. Black Dome Mountain is another popular example, which is also located in Canada. As we mentioned above, there’s no strict definition of mountain classifications, so other types are sometimes mentioned. Plateau mountains aren’t formed by something going up — they’re formed by something going down. For instance, imagine a plateau that has a river on it. Year after year, that river carves out a part of the plateau, bit by bit. After some time, there might only be a small part of the original plateau left un-eroded, which basically becomes a mountain. This generally takes a very long time even by geological standards, taking up to billions of years. Some geologists group these mountains with dome mountains into a broader category called erosional mountains. There’s no geological model to fully explain how uplifted passive margins formed, but we do see them in the world. The Scandinavian Mountains, Eastern Greenland, the Brazilian Highlands or Australia’s Great Dividing Range are such examples, owing their existence to some uplifting mechanism. The trail of underwater mountains created as the tectonic plate moved across the Hawaii hotspot over millions of years. Image credits: USGS. Although once thought to be identical to volcanic mountains, new research has shed some light on this belief. Hotspots are volcanic regions thought to be fed by a part of the underlying mantle which is significantly hotter than its surroundings. However, even though that hot area is fixed, the plates move around it — causing it to leave a hotspot trail of mountains.